In the last few months I’ve had the pleasure of trying quite a few glasses of the California white wine blend Conundrum. This wine was favorite 4 or 5 years ago but I stopped buying it after my love affair with French and German wine caused me to turn my back on my brief fling with West Coast wines. Revisiting this blend of Chardonnay, Viognier, Muscat Canelli and Sauvignon Blanc I found the concentration of rich fruit and incredible length was deliciously integrated. The aroma was down right intoxicating, no pun intented! Suddenly I felt the kind of guilt one feels when neglecting an old friend. Why had it taken me so long to reconnect with this wine? Floral notes, stone fruit, spice, orange blossom, dried apricot and honeycomb are just a few of the flavors/aromas that I detected and enjoyed in this full bodied white wine. The 2008 vintage is the first to be produced at the production only Conundrum Winery in the Santa Lucia Highlands of Monterey Country. 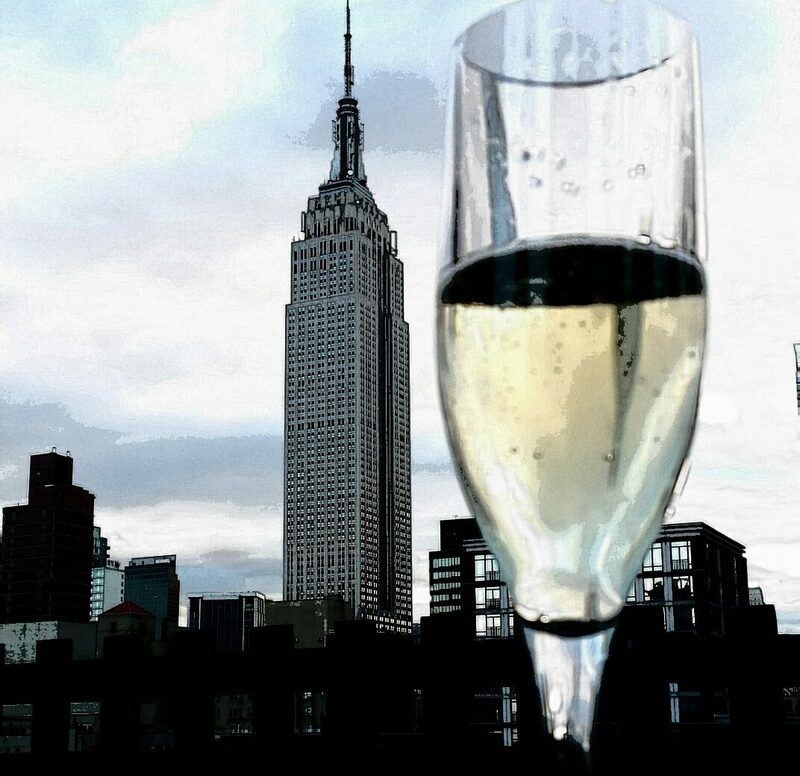 With fruit sourced from Tulane, Central Coast, Monterey and Napa one quarter of the wine is aged in stainless steel to preserve freshness while the remainder is aged up to 10 months in a variety of oak barrels to impart richness. The Conundrum stems from the blend as the winery never reveals the exact amount of each varietal in the blend. I decided on a few pairing ideas and invited a few friends over to taste and enjoy! I prepared Deviled Eggs (second winner in pairing), Roast Chicken Cuban Sandwiches and the Scallops, Scallions and Roast Peaches Wrapped in Bacon. Below is the clear winner of the evening. *Peel and half 6 peaches, arrange on an oiled baking sheet with pitted side up. 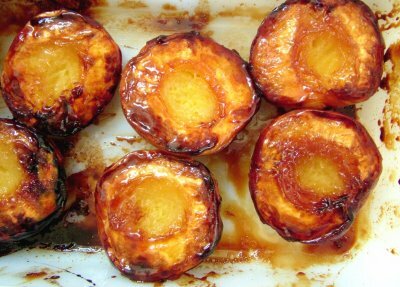 Drizzle peaches with the following mixture 1/4 cup teriyaki sauce, 1 tablespoon honey, 1 tablespoon melted butter, dash of hot sauce ( I used Sriracha sauce) and juice of 1/2 orange. Roast for 20 minutes in preheated 350 degree oven. Allow to cool and cut each half into 4 pieces, set aside. Preheat oven to 425 degrees. 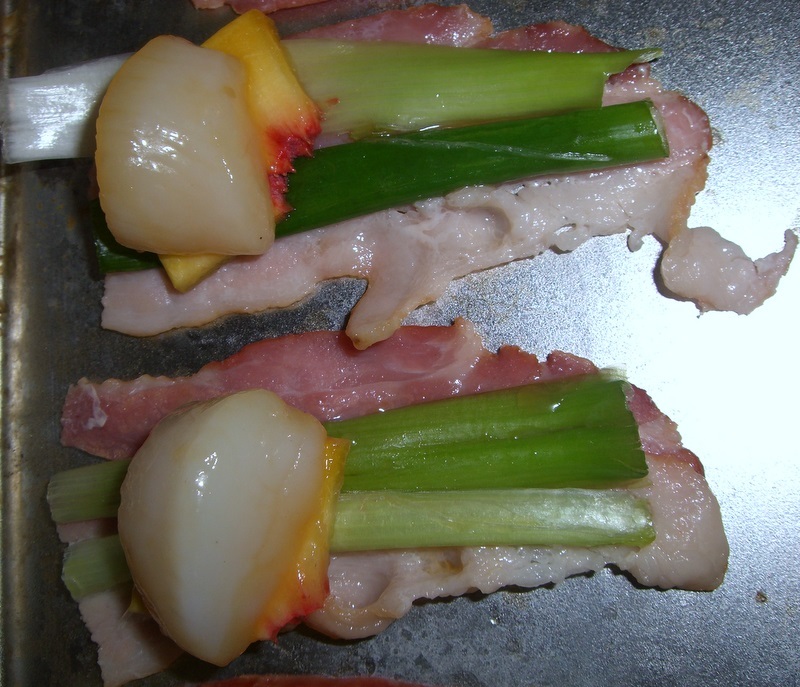 Assemble 1/2 bacon slice, scallion, 1/4 peach and scallop as shown and roll up individually securing each with a toothpick. Place rolled up bundles on metal baking sheet in preheated oven for 35 minutes. Check to see if bacon is done to desired crispness. If you want it a bit crisper bake for an additional 5 minutes. 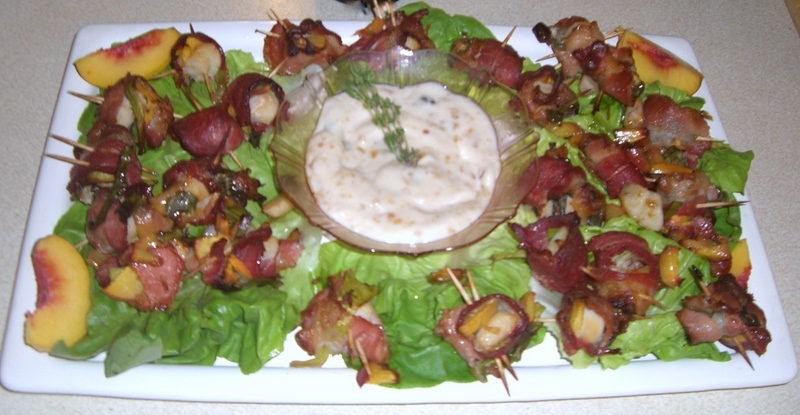 Arrange on a bed of greens and serve with dipping sauce and chopped fresh peaches for garnish. Blend all ingredients till smooth, serve on side with additional scallions on top for garnish. Previous Kelso of Brooklyn on the High Seas, A Evening of Beer and Cheese!